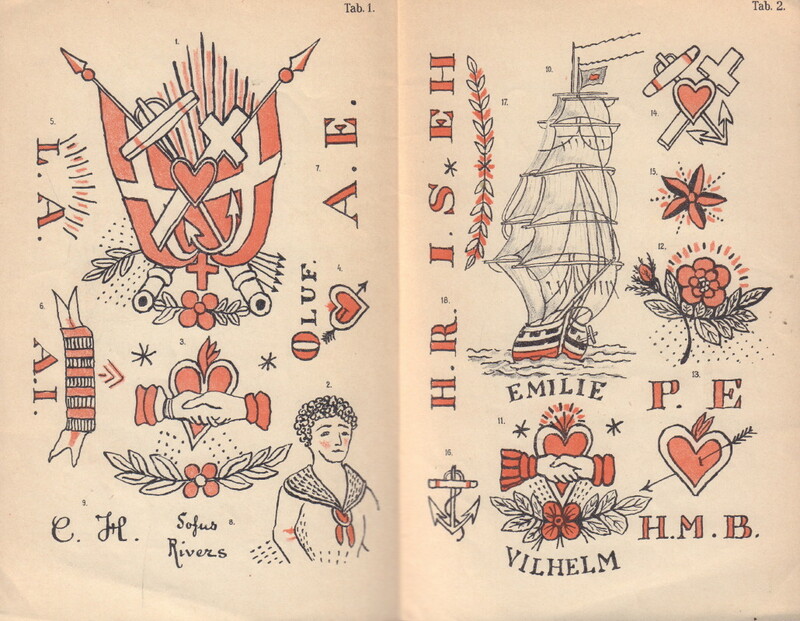 Home / Books / Tattooing / (SOLD): BERGH, R. Om Tatoveringer hos de Offentlige Fruentimmer. (Copenhagen): I. Cohens Bogtrykkeri, 1891. First edition. Octavo. 16 pages. Scarce and early work on the relationship between crime and tattooing, in particular prostitution. Bergh was a Danish physician specialising in sexually transmitted diseases. This work was issued after a study of 800 prostitutes in Denmark, of which about 10% were tattooed, most by the same tattoo artist. The volume is perhaps most notable for the double-paged two colour lithographic plate reproducing drawings of 18 tattoos. 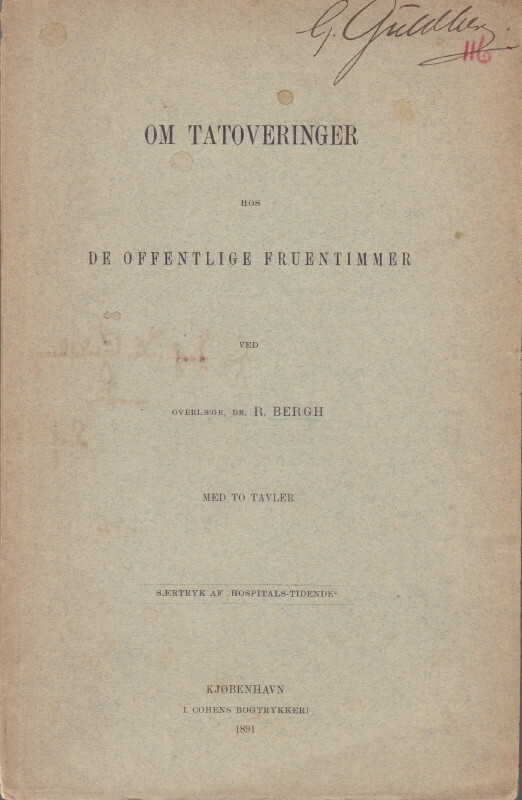 Bergh’s paper was reproduced in a German academic journal in the same year where it received more wide spread attention. A good copy in printed wrappers, split at the head and tail of spine, ownership signature to cover, along with a numeric notation in red pencil, and inscription in an unknown hand inside front cover. Scarce, OCLC locates no copies outside of Scandinavia.